Kenji Kamiyama was born on March 20, 1966 in Saitama Prefecture, Japan. 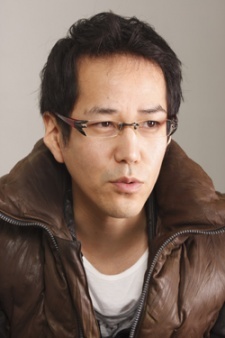 He has worked regularly with the anime studio and production enterprise, Production I.G, such as his work on Jin-Roh, Patlabor, Blood: The Last Vampire, and for whom he has directed the Ghost in the Shell: Stand Alone Complex anime television series, which was followed on into a second season, Ghost in the Shell: S.A.C. 2nd GIG and a TV movie, Ghost in the Shell: Stand Alone Complex - Solid State Society. After working as a background artist for productions such as Akira and Kiki's Delivery Service, he joined Team Oshii at Production I.G, contributing the screenplay of Blood: The Last Vampire, and working as animation director for Jin-Roh. In 2002 he made his directorial debut with MiniPato, followed by Ghost in the Shell: Stand Alone Complex and Ghost in the Shell: S.A.C. 2nd GIG. In 2007, after almost 6 years of work on the Stand Alone Complex world, he directed the TV series Guardian of the Sacred Spirit and Eden of the East.